People have been starting to pay more attention to what is in the products they are buying. This includes shampoo, deodorant, food, and now dog food brands. This is important for pet owners because, especially when they are puppies, overfeeding or feeding your dog unhealthy food can damage their health. With the organic trend still going strong, manufacturers have started making organic dog food brands. 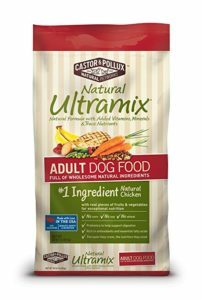 This is food that does not have any nasty chemicals or additives included, and pet owners have been buying this food up like crazy. However, there are still some things that people are confused about, like why something is bad or why another product is better. In addition, people always want the best things for themselves and even more for their new little puppy. With that in mind, we have checked out what organic dog food has to offer. Here is our top 10 best organic dog food choices to help you out a little. To ensure you are feeding your dog good quality food... Here are the Best Organic Dog Food choices. In the chart below, you will find our top 10 Best Organic Dog Food choices. For a more in-depth review of each model, please click on "Read Review." 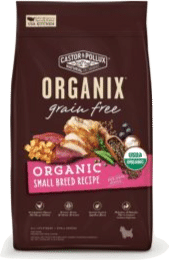 To ensure you are feeding your dog good quality food.....Here are the Best Organic Dog Food choices. What Is Organic Dog Food? Organic is the same as it has ever been. Growing pet food without the use of pesticides, herbicides, fertilizers, or any other synthetic additives. Organic dog food is no different. 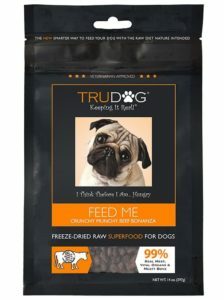 It is simply the same as regular dry dog food but with organic ingredients and no additives. If it has meat included, like chicken or beef, the meat is raised with no synthetic additives. Many commercial brand dog foods include things like pesticides, artificial flavors or preservatives, GMO and synthetic growth hormones, antibiotics, and even irradiation. A lot of the same things are also included in many commercial branded human food and products. Any truly organic dog food will have ZERO of these ingredients. In addition, organic dog food manufacturing plants and facilities are required to maintain detailed records of all food production. This is so the source of their ingredients can be traced and verified. They are also subject to regular inspections by a USDA-accredited agent to make sure that they follow all the standards, rules, and regulations. If you buy a USDA certified organic dog food brand, you can be sure that they are legit. Their regulations are as strict as they are for human food and other products. It may be even more so because most people care more about their pets than they do animals. You know when you see a dog die in a movie? It is the worst thing ever, right? Dogs > People. When looking for organic dog food, there are a lot of terms used, and not all of these terms mean the same thing. However, some can overlap with each other. The most common terms you will most likely find when shopping for organic dog food are grain-free, gluten-free, natural, and—of course—organic. With each of these terms, there is a lot of misinformation floating around. For example, while grain-free dog food is becoming increasingly popular, many people are under the impression that this means the food is carb-free. This is not always the case. Grains are not the only foods that contain carbohydrates. In fact, dry dog food is impossible to make without carbs. Instead of using grain for carbs, they use something else. Many people attribute the risk of diabetes with grains, but they are not entirely the problem. Eating too much of any form of carbohydrates can increase the risk of diabetes. In fact, with many grain-free varieties of dog food, the calorie count can be much higher. However, grain-free dog food does tend to be higher in protein. If that is the goal, then go for it. Just be wary of the calorie count because you may need to adjust the feeding size. With gluten-free foods, there is another controversy. This is about whether gluten is good or bad for you, and depending on where you look, you will find both answers. Overall, it is best to avoid gluten-free dog food unless your dog actually has a gluten allergy. Natural is a term that is thrown around a lot. Many brands will say "made with 100%" or "All-Natural ingredients". However, while there are standards in place for a brand to claim "all-natural", these are not as strict as the organic standards. Natural means that the food has no synthetic ingredients in them, but it does not mean that they grew the ingredients organically. A natural dog food really only needs natural sources, but they can still go through countless forms of processing. The only exception is that that processing cannot include chemicals, so that is a plus. Overall, organic ingredients are definitely the way to go. To be truly certified as organic, there are many strict regulations that the manufacturers have to adhere to. This is great for the consumers because we can be confident that what we are buying is legit. Plus, "organic" literally means "all-natural" and then some. In addition, "organic" foods can also be "gluten" or "grain-free". If you are still confused, just read the label on the back. It should tell you everything that is included in your dog's food. There are so many different brands of dog food out there, and they all claim to be the best diet for your little ball of energy. What really is the best diet for them? There are a few things that you must consider when buying dog food to ensure you are truly getting the best for them. Not all pet food is equal, even in the organic world. Certain organic dog food brands are better for specific life stages than others. It is important to give your dog the correct nutrition depending on their age. Dogs have three important life stages: puppy, adult, and senior. Each requires different nutrition. When your dog is a puppy, their metabolism will be really high because the dog’s body is growing constantly. They need a lot of food, especially with a balanced nutrition. However, once your puppy reaches adulthood, which happens fast, their nutritional needs will change. They will no longer need a lot of food because their metabolism will slow down, much as it does with humans. For puppies, they need more solid foods with high protein and calories in their diet. In addition, a balance of water, amino acids, fatty acids, and minerals will go a long way for proper bone growth, physical development, and cognitive adaptability. For adults, their nutritional intake should be reduced as overfeeding and quickly lead to an overweight dog. This means that they need less protein and fewer calories. It should mostly consist of vitamins, calcium, fatty acids, minerals, and some proteins. However, when choosing an adult dog food, you also need to consider your dog's body type. As for senior dogs, the nutrition they require can vary. Typically, you will need food that it low in calories but high in fiber, fatty acids, and proteins. Fiber is especially important because it reduces metabolism-related problems and bowel inconsistencies. Also, it promotes kidney health. Everything you need to know about your dog food is on the label. This includes the ingredients it includes and the type of food it actually is. The back label will tell you absolutely everything that is in your dog’s food, along with the number of certain vitamins and anything else. The front of the bag or container will tell you if it is legitimately organic or not. Remember, if it does not have that USDA Organic badge, there is really no way to tell if it contains organic ingredients. 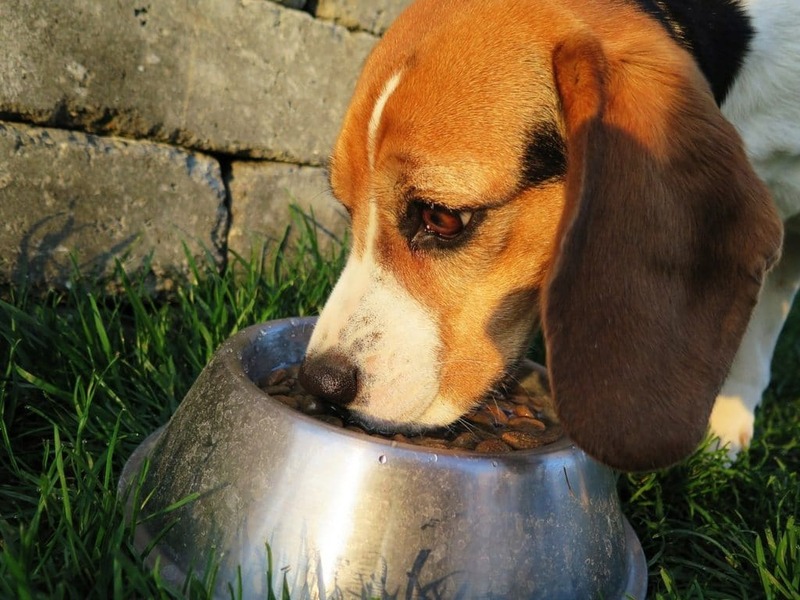 In addition, natural does not mean unprocessed, so be careful around the all-natural dog food. Overall, when shopping for organic dog food, anything that has by-products or preservatives are obviously not organic. Also, if your food is AAFCO Approved, it means that the food is a balanced, healthy, nutritional product. It also means that it meets the minimum health standards to promote well-being and development. Different breeds of dog require different nutrition, just like different ages of dogs. Smaller dogs tend to have a faster metabolism, which means they will need more fatty nutrients. They will also need loads of vitamins, minerals, fruits, whole grains, and vegetables. For medium breeds of dogs, they simply need a balanced diet, which is not hard to meet. Their metabolism falls right in between small and large dogs. With large breeds, they need a whole lot. Even though their metabolism tends to be lower, they are also the most active breed of dog. This means that they need large amounts of high-quality, nutrient-dense dog food. Your best bet is to get food that consists of proteins, fiber, carbs, vitamins, and minerals. However, larger breed dogs are more susceptible to diabetes, heart problems, and bloating. Be cautious of overfeeding. This is where gluten-free foods are most useful. Some dogs do tend to have an allergy to gluten and rarely grain. However, it is more common for your dog to have an allergy to a type of meat. This means that you have to be careful that the food you are buying does not contain any trace of that, as an allergy attack in a dog can be very serious. If your dog has sensitive skin, thin coat quality, and redness of the skin, you have to be very careful when choosing the correct dog food. On the plus side, most organic dog food is great for the quality of your dog's body, coat, skin, and their general health. Many organic dog foods tend to be hypoallergenic, but it doesn't hurt to double check. This is where much of the misinformation comes with grain-free dog foods. Many believe that dogs have a hard time digesting grains in their food. However, their stomachs have actually adapted quite well to digesting grains. There are some other ingredients in some dog foods that can be hard to digest. Be sure you watch for pooping patterns as a way to determine whether or not your dog is properly digesting the food you are giving it. 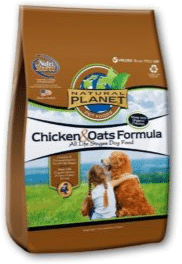 When we looked at all of the best organic dog foods that are available, we have found that some things are static among all of them. Here are some of the common features among all of the best holistic dog foods. USDA Organic. If it does not have the badge, they may not meet the same standards. 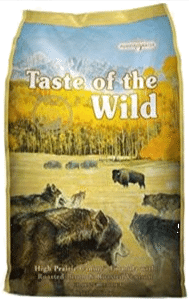 Free of preservatives, additives, growth hormones, GMO and other not so great stuff. There is a lot about organic food that can sometimes be overwhelming. Do not worry, there are many people in the same situation as you. Here are some of the top frequently asked questions about organic dog food. 1. What is so great about organic dog food? Organic dog food contains no animal by-products, preservatives, additives, synthetic growth hormones, and GMOs. In addition, all of the vegetables and meats included in organic dog food are grown and raised organically. This means no pesticides or fertilizers. Plus, high-quality dog food is not processed, unlike "All-Natural" or other commercial brands. 2. 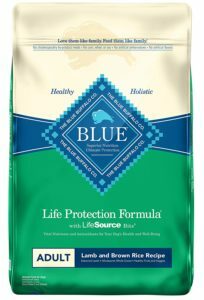 What nutrients does my dog need? There are six types of nutrients that every dog needs in their diet. Fats give a shiny and healthy coat, energy, and normal body development. They need water because every living thing needs water. Proteins benefit their energy, immune system, and development of skin cells. Dogs need carbs for energy, and dogs have a lot of energy. They need minerals for normal body functions like the formation of bone and cartilage. Lastly, dogs need vitamins for metabolic function. 3. 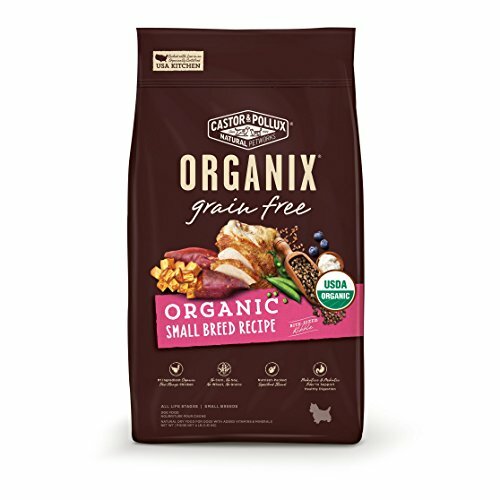 How do I know if the dog food is truly organic? This is simple: just look for the USDA Organic badge. Any brand of any food that has that badge has a strict requirement that they must meet in order to wear that badge on their products. 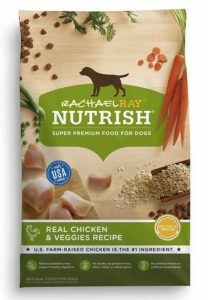 If your dog food is just saying 100 percent organic or 100 percent natural, it could really mean anything because those are just words. There is nothing legally binding about those phrases. ​4. How expensive is organic dog food? It really depends on the brand. 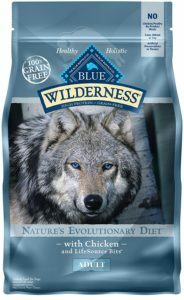 Our number one favorite organic dog food brand will run you about 20 dollars for a 14.5 pound bag. However, other brands with more popular names behind them (for example: Rachael Ray) will be a bit more expensive. You should be able to find a quality organic dog food for nearly the same price as your regular dog food. Nevertheless, the slightly higher price does usually get you great quality food for your pet. As if you need more reasons to buy organic dog food, here are some great advantages that this food has on your doggo. Reduction of Skin Ailments and Allergies: Allergies in dogs are on the rise, and sometimes their allergies can come from their food. Organic dog foods are typically hypoallergenic, meaning they contain no allergens in the organic ingredients. It is free of all artificial colors, flavors, chemical additives, and toxic pesticides. Plus, organic dog food contains quality protein and grain sources of great nutritional value. 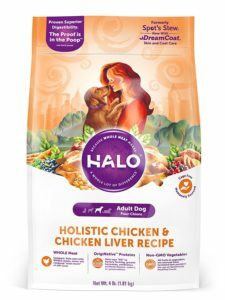 These, along with the rest of their balanced diet, will help to boost your dog's immune system. Fewer Problems with Digestion: If your dog farts a lot or their pooping habits are weird and inconsistent, it could be a sign that they have indigestion. 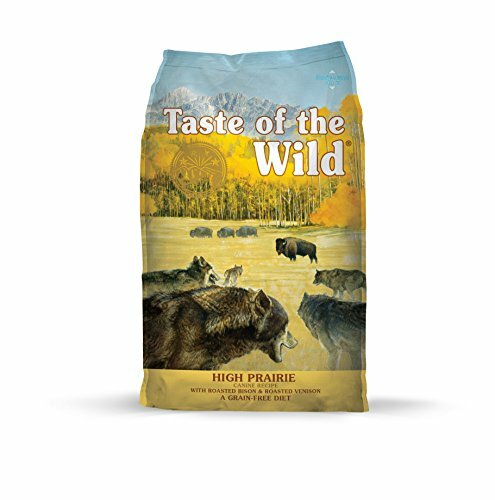 Thankfully, organic dog food contains superior sources of grains and proteins that dogs can easily digest. Also, organic dog food does not contain any bulk-fillers, so your dog will only eat what it needs to maintain healthy energy and life functions. Better Overall Health and Stronger Immunity: Organic food is a great way to keep your puppers happy and healthy. 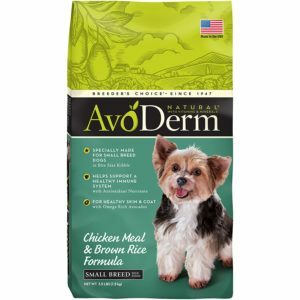 It promotes great skin quality, a healthy coat, plenty of energy, a manageable weight, and a strong immune system to fight off any bacteria that your dog may be exposed to while living their life. Here are some articles that answer the most popular questions about organic foods. I have shown you the benefits of giving your dog high-quality dog food. By now, you should understand the different types of organic pet food, like grain-free dog food and all-natural dog food. Be sure to check out our individual reviews for each of our top 10 best dog organic foods. For more information, check out the rest Green and Growing has to offer.